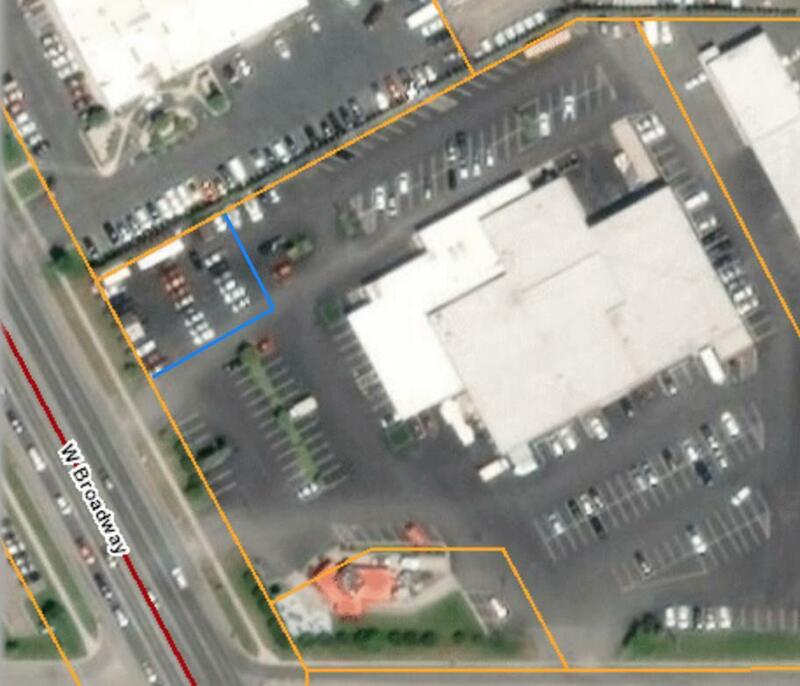 Great 80' by 110' parking area for a food truck, mobile office, or other uses in the NW corner of the parking area at 1900 W Broadway! Nearby businesses include Mismo Gymnastics, 3 exercise studios, Noodles express, Lion's Den Church, Rick's Auto Body and more. Monthly lease expense is $1,200 plus a $75 flat fee for snow plowing and lot maintenance. Call Shannon Hilliard, 406-239-8350, or your real estate professional to lease this high visibility location!